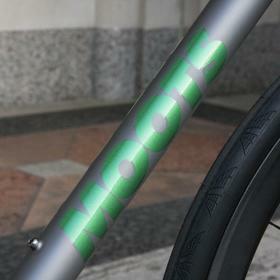 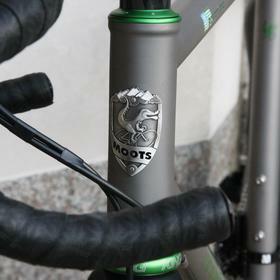 The Moots Routt RSL is a deluxe way to tackle the all-road option. 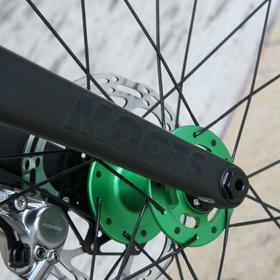 With max tyre clearance of 38mm, the Routt RSL can be set up to tackle many different surfaces without sacrificing it's performance. 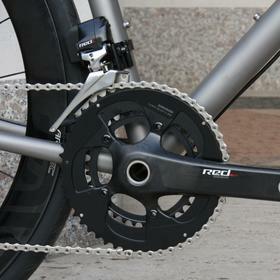 The Routt RSL is very light. 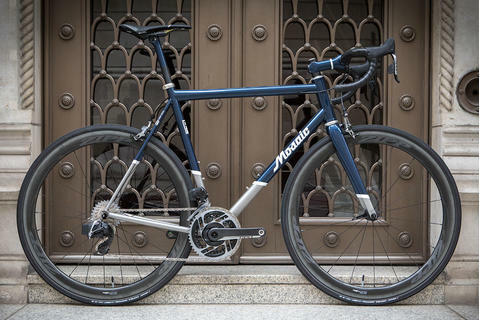 It's built with Moots' proprietary, internally butted titanium tube set, which reduces weight and maintains stiffness and durability. 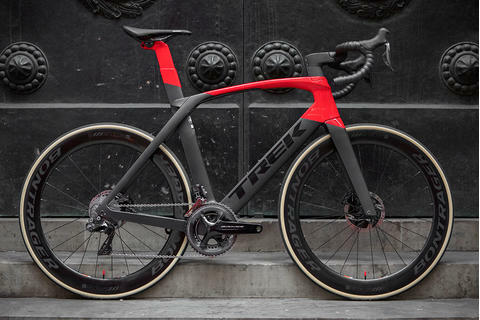 This bike is built to last a lifetime. 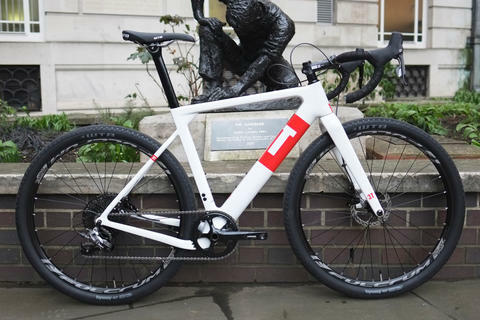 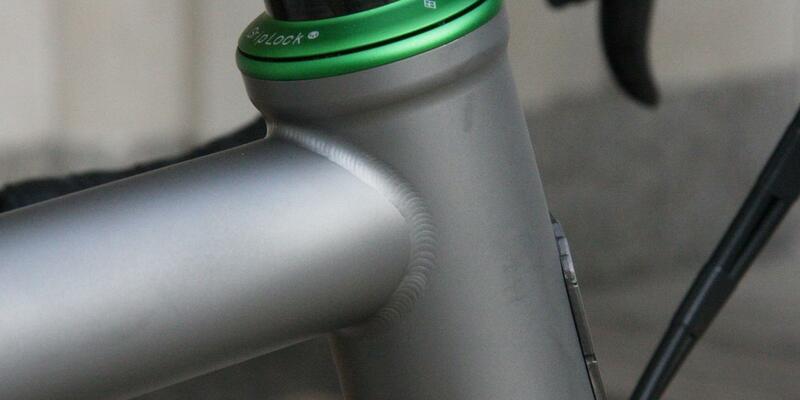 The stiffness comes from the butted tube set combined with the new Moots 3D printed dropout, which you 'll see in the photos - it has a different finish to the remainder of the tubing. 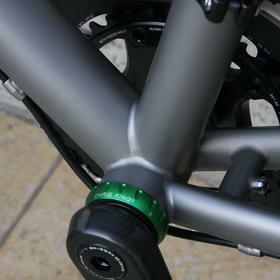 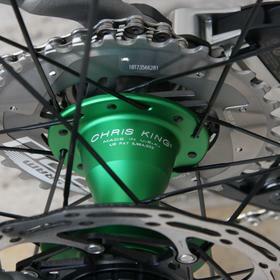 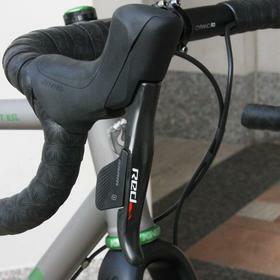 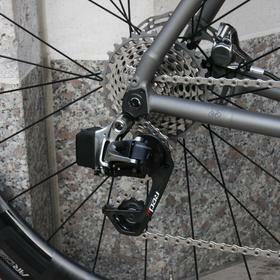 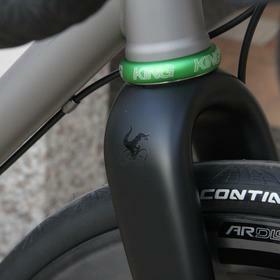 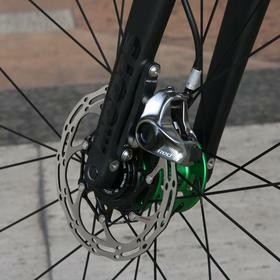 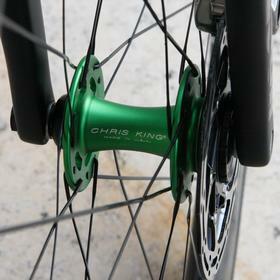 142 x 12 thru axle and flat mount disc brake mount also increases stiffness for quick acceleration and improved cotrol. 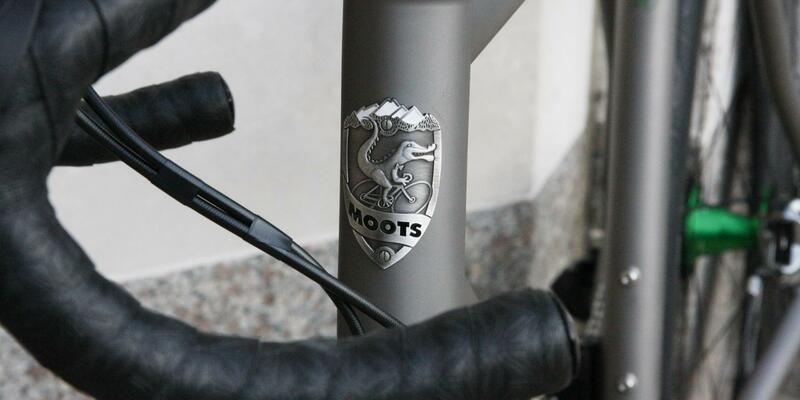 Moots hand build seven stock sizes plus offer custom, with all angles, tube lengths, tube diameters and wall thickness size-selected to create the perfect ride feel for both options. 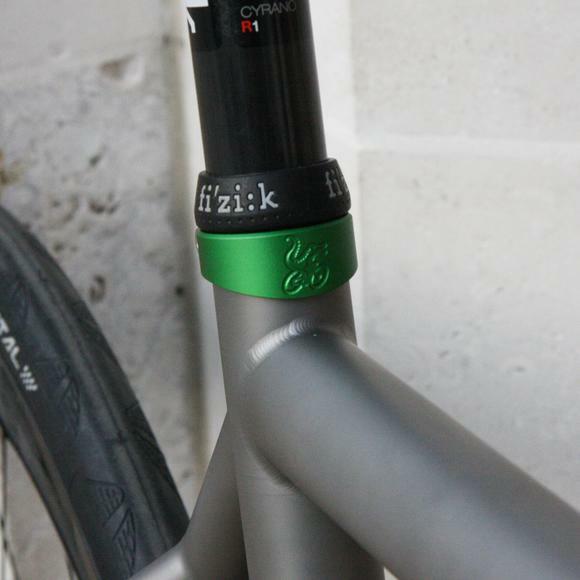 With numerous other options during the build process, the logo choices are similarly impressive with a variety of decals as well as polished and etched options available. 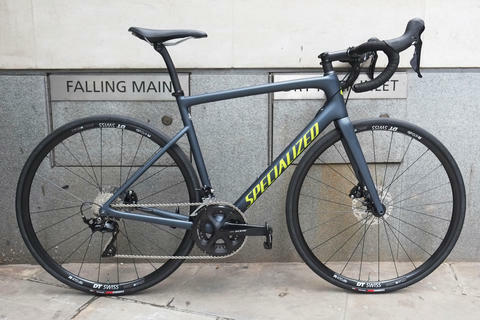 Naturally, such a frameset demands the best components, and there's no skimping here, with SRAM eTap and ENVE 4.5 ARs in the mix. 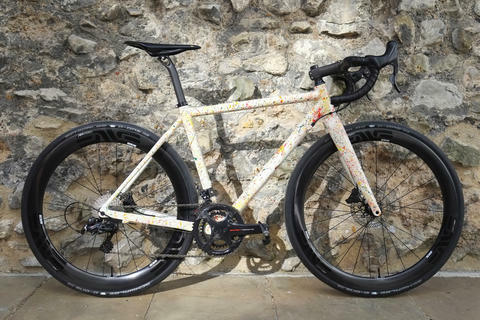 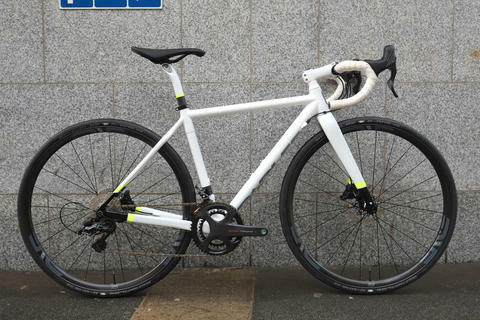 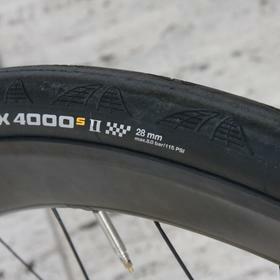 Swap out the Conti 28mm tyres (which come up wider on the AR rims) for something nobbier and you'll have a real gravel crusher. 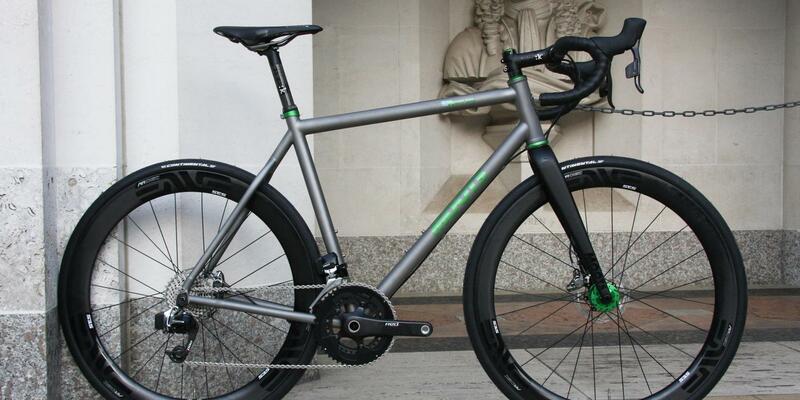 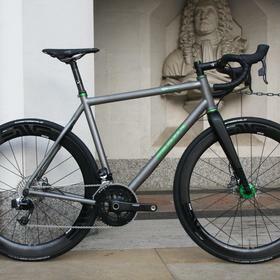 Another beautiful Moots, perfectly fitted and expertly built at Bespoke Cycling, London.